A lifelong competitor, Mark started training in art of Brazilian Jiu-jitsu (BJJ) in 2002. He was intrigued by the dominance of BJJ in combat sports. BJJ also gave him the opportunity to compete without a heavy abuse to his body. Gustavo recognized his dedication to the sport and talent for teaching and allowed Mark to coach classes at the main academy. As Mark progressed and earned his senior belts, Gustavo gave his blessing for Mark to open an affiliate academy in Norfolk. From an early age, Mark has been involved with different forms of karate and striking sports. He boxed in the Golden Gloves and the Marine Corps. He coached boxing and also competed in professional full contact kickboxing. Mark is actively training to improve his jiu-jitsu and has recently taken up Judo. He is a fierce competitor and a passionate coach. In 2009, Mark won the brown belt division at the Pan-AM games in New York. Enlisted in the USMC for eight years, acquiring the skills of hard work and determination as well as mission accomplishment. During those eight years, achieved Master Instructor for Security Forces Physical Security & Tactics. Currently a Black belt in Brazilian Jiu Jitsu under Gustavo Machado. In 2014 became Kru under Ajarn Buck Grant in Muay Thai. Has a Bachelors Degree in Exercise Science. Jason has been involved in martial arts for over 20 years. In 1997, Jason joined the University of Toledo judo team. Jason trained with that team from 1997 to 2004 and with the Ohio State University judo team from 2006 to 2008. He has been running his own dojo, presently at the Granby Street YMCA, since 2010. Jason earned the rank of judo black belt in 2002 and second degree black belt in 2014. In 2001, Jason also began training Brazilian Jiu-Jitsu. Jason’s Jiu-Jitsu journey took him to Brazil the next year, where he spent the summer and earned his blue belt. Jason joined the Gustavo Machado Norfolk Academy in 2015 and has since advanced to the rank of brown belt. Jason continues to train at GMBJJ Norfolk, and he teaches the Academy’s morning class every Tuesday, Wednesday, and Thursday at 5-6AM. 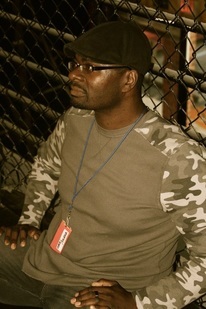 In addition, Jason is the head judo instructor at the Granby Street YMCA.